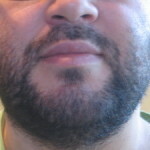 For a long time I've known that "five o' clock shadow," means the small bit of beard regrowth that appears after shaving. However, I've n ever know the origin of the phrase "five o'clock shadow." Why isn't it a four o' clock shadow or a two o'clock shadow? In previous years, it was not cool to have a five o'clock shadow. It was only celebrities like George Michael and Don Johnson and characters like Clint Eastwood's man with no name that made it popular to have a five o'clock shadow. If men were to be found respectable, they either were cleanly shaven or had a full beard. If a man was going to grow a beard, he would wait until he was on vacation so people would not see him during the five o'clock shadow phase of growing a beard and mustache. The high-class English had a tradition of having tea at five o'clock and these were known as "five o'clock teas." Of course, that was soon shortened to "five o'clocks." The tradition moved to the United States where it may have been a tea or any type of light meal at five o'clock. It probably does not come as a huge surprise that the way the phrase "five o'clock shadow" originated was because of marketing. It was the Gem Safety Razor Company in the 1930s that coined the phrase "five o'clock shadow." The company wanted to sell more razors. The idea was that men started to grow an unsightly and ugly afternoon beard, so buying the Gem Safety Razors would allow them to shave any unsightly beard growth. Of course, being that people in the United States were having tea or eating a light meal at five 'o clock, the company decided to call this beard growth a "five o'clock shadow," as that would be a time in the late afternoon when beard growth might appear. 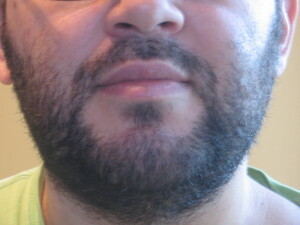 Men could avoid having this ugly beard growth show when going to "five o'clocks."